The Loire à Vélo itinerary winds its way through the Loire Valley across a distance of 900 kilometres. 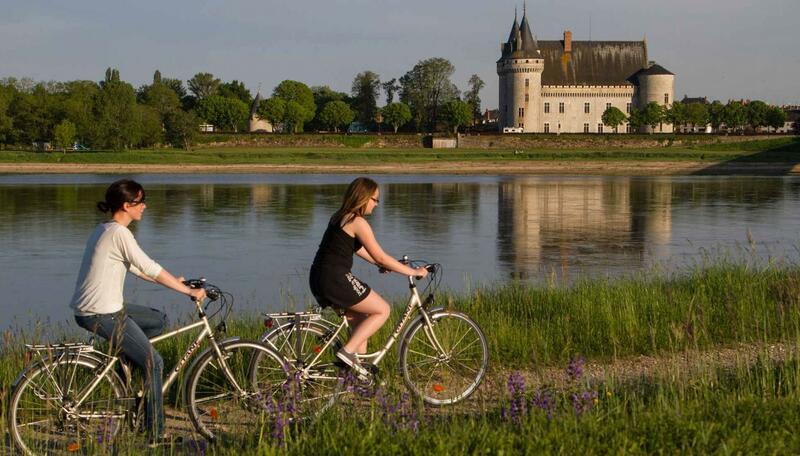 If you enjoy the combination of travel, nature and visiting châteaux, these two 2-day cycle routes will enable you to experience a different facet of the Loire Valley. Two possible transport options are available to reach the route’s starting point at the Château of Sully-sur-Loire. The first is by car (with or without your own bike), which you can leave at the château. The second option is by train, travelling from Paris-Bercy station to Gien, from where you would need to arrange a taxi to get to Sully-sur-Loire. If you’re not planning on bringing your own bike, you will need to hire one before starting the trip. 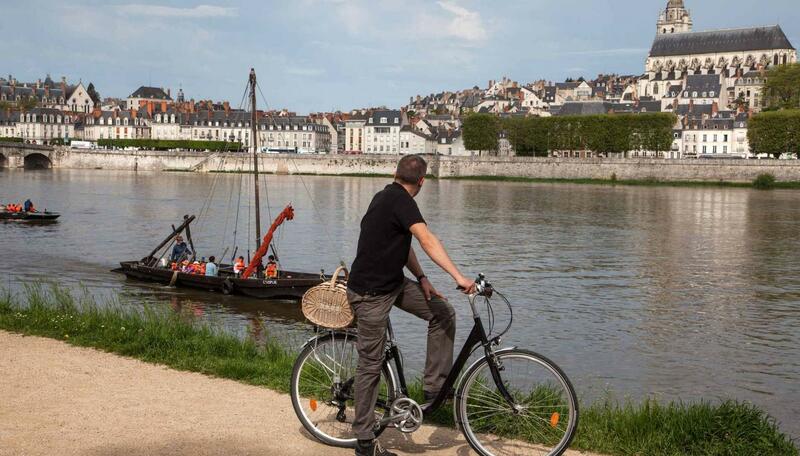 During the season (from April to late-September) it is possible to travel by bus with your bike between Gien and Orléans (Rémi bus network - line 3). For further information on days and timetables. Appearing as if it has come straight out of the Middle Ages, the Château of Sully-sur-Loire seems to float on the surface of the water, with its impressive water-filled moats and colossal keep. Inside, you’ll be amazed by the beauty of its majestic great hall (covering 300m² with ceilings 7m high), the reconstruction of the king’s bedroom and the impressive Gothic woodwork in the upper room of the keep. Following the Loire à Vélo route, cycle for an hour to Saint-Benoît-sur-Loire (9km). Built around 630AD, the Abbey of Saint-Benoît-sur-Loire, also known as the “Abbey of Fleury”, is well worth a visit. At lunchtime, enjoy a delicious lunch at the “Grand Saint-Benoît” restaurant, offering a mix of traditional and more inventive cuisine. 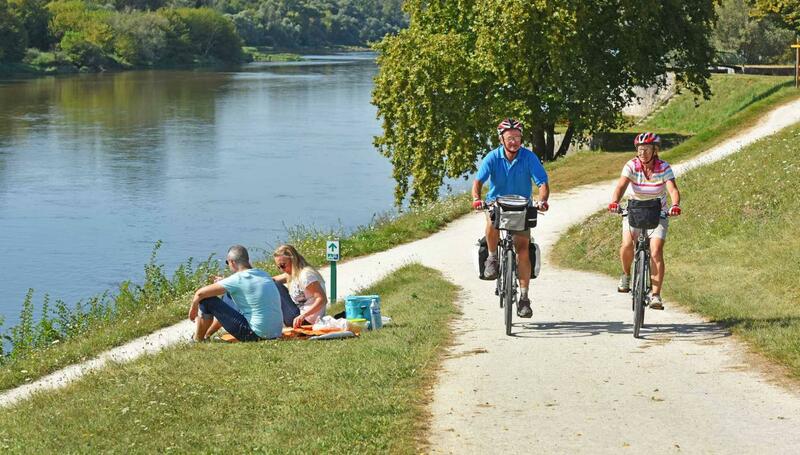 After lunch, enjoy a 2hr cycle ride (22km) to Jargeau, continuing along the Loire à Vélo route. Make sure you stop at the Carolingian oratory of Germigny-des-Prés, which is proud of its status as the oldest church in France. 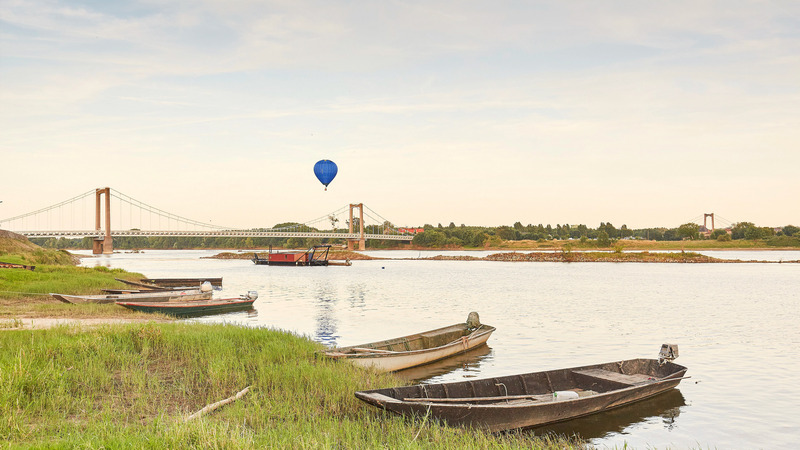 As you cycle towards Jargeau, make a stop at Sigloy where the river takes over from the road as you take to the water on a 90min trip on a traditional Loire river boat, operated by the Passeurs de Loire company. Once back on dry land, continue to Jargeau, where you will end your day’s exertions. Have dinner and spend the night in the “Le Cheval Blanc” hotel-restaurant. Continue your journey along La Loire à Vélo this morning, cycling for two hours to Orléans (20km). At Orléans train station, board a train with your bike for the 1hr journey to Blois. At lunchtime, choose from three restaurants for some fine dining along the banks of the Loire: the “Côté Loire”, a charming small 16th-century house which once played host to Madame de Sévigné; the “Rendez-vous des Pêcheurs”, run by Michelin-starred chef Christophe Cosme; or “L’embarcadère”, with its terrace overlooking the river. From its lofty position on top of a rocky promontory, the Royal Château of Blois keeps watch over the Loire and the town, which has had royal connections since way back in the 16th century. Boasting the majestic facade of the Francis I wing and its attractive courtyard, home to the monumental Francis I staircase, the château’s exterior cuts a fascinating appearance. Inside, its rooms are no less impressive, epitomised by the sumptuous royal apartments. Continue your journey of discovery along the banks of the Loire and through the historic centre of Blois, a town with myriad architectural treasures such as the Saint-Nicolas church (with its Romanesque and Gothic architecture) and the Gothic-style Saint-Louis cathedral, with its Renaissance-style tower. Travel to Nantes by TGV (2hr 10min) or by road (3hr 45min from Paris), where a visit of the city’s famous Château of the Dukes of Brittany awaits. The final château before you reach the Atlantic Ocean, it is situated in the very heart of the city and boasts a courtyard, ramparts, moats and gardens of particular interest to visitors, not forgetting the Museum of the History of Nantes, which it houses within its walls. After your visit, you will be able to explore the city on foot. This cosmopolitan city has plenty to offer visitors: stroll through the pedestrianised Le Bouffay district; visit Saint-Pierre-et-Saint-Paul cathedral; go shopping in the Passage Pommeraye; or enjoy a show at Le Lieu Unique (LU). 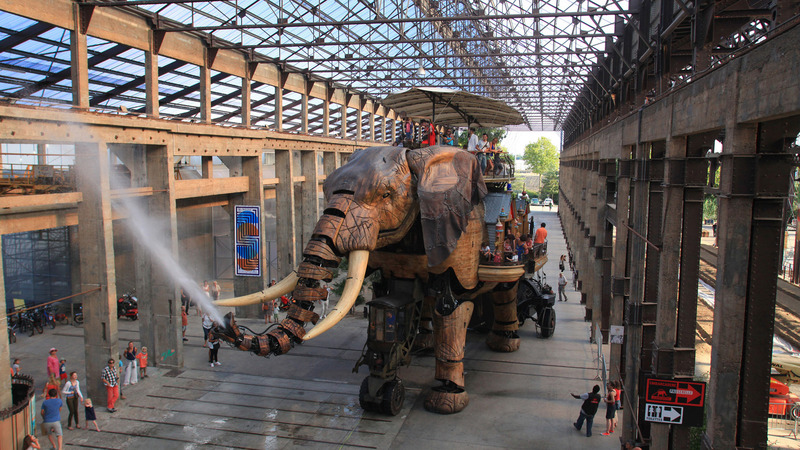 Not forgetting the Île de Nantes and its intriguing machines. For lunch in Nantes, you can always rely on the restaurants selected by the “Les Tables de Nantes” where a feast for the taste buds is guaranteed. After lunch, it’s time to hire a bike, and whether you plan on riding a traditional or electric one, you’ll find what you’re looking for at Détours de Loire and Vert-Event. The good news is that you can return them in Angers at the end of your trip. You’re now ready for the off, heading towards Saint-Julien-de-Concelles. After a 17km ride along the Divatte river, head upstream along the Loire, enjoying its landscape of market gardens. Time for some well-deserved comfort after all that effort! At the Restaurant Clémence, enjoy dinner with a view of the Loire in a contemporary setting with a traditional touch, where the gastronomic cuisine is based around fresh, local produce. Tonight, your somewhat unusual accommodation is on board “L’erre Sauvage”, a traditional flat-bottomed river boat (Toue Cabanée), on board which you’ll be gently rocked to sleep by the waters of the Loire. After breakfast on board your Toue boat, continue by bike to Ancenis, a 1hr 25min ride from Saint-Julien-de-Concelles (25km). Then travel with your bike on board a local TER train to Angers, a journey of around 30min. For a complete change of scenery, lunch today is at the “Villa Toussaint”, where the menu focuses on cuisine from around the world, in particular Asia. 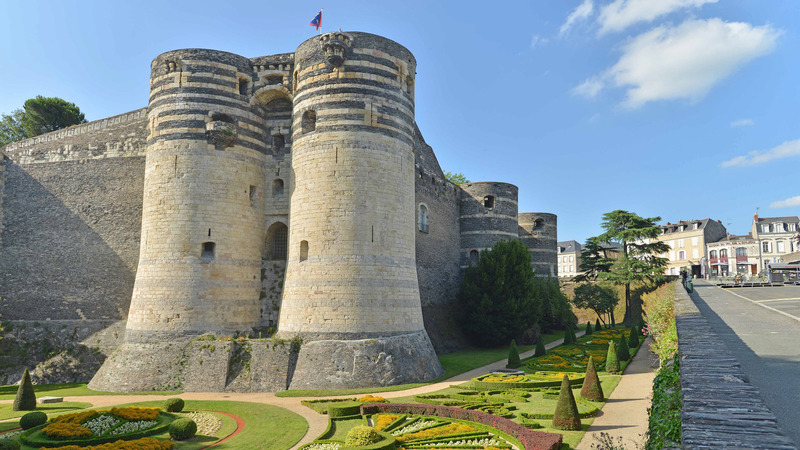 Overlooking the Maine river, Angers’s impressive château boasts 17 towers, extraordinary twin-coloured ramparts and delightful gardens. Within its walls you will be able to admire the 106m-long “Tapestry of the Apocalypse”, the largest medieval tapestry in the world. Representing the last book of the bible by St John, this remarkable medieval treasure is very well preserved. 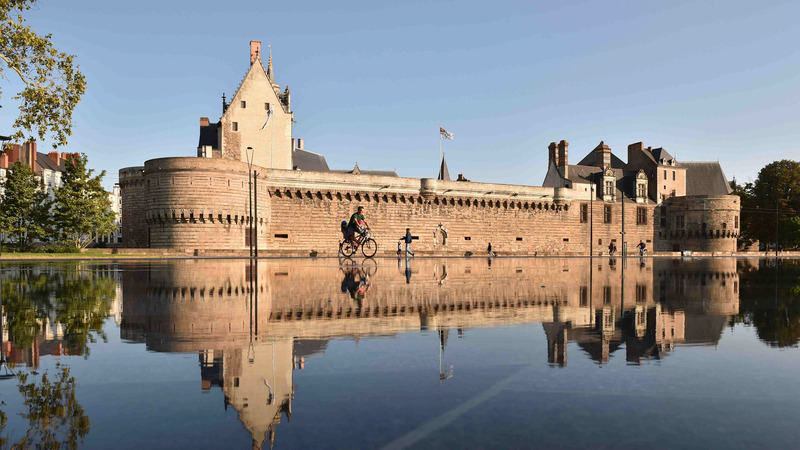 After your visit, enjoy a bike tour of Angers, exploring this officially recognised “City of Art and History”, where you’ll discover the secrets behind the town’s renowned quality of life. On the tour you’ll discover its major highlights, including Saint-Maurice cathedral, Saint-Martin collegiate church, Le Mail gardens and the David d’Angers gallery. Your adventure comes to an end in Angers, where you return your bike to “Détours de Loire” or “Vert-Event”. For your return journey to Paris, allow 2hr 40min by road (300km) or 1hr 30min by TGV.